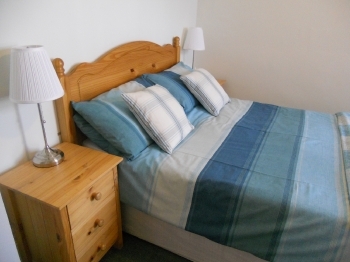 Accommodation in Weston-super-mare, North Somerset. Kenilworth Guest House, Weston super Mare offers friendly, family-run accommodation a short, level walk from the Town Centre and Promenade. On Sunday 21st April 2019 the sun will rise at 06:05 and will set at 20:18. It's going to be quite a warm day, with temperatures reaching 23.4°C. Today is expected to be a dry day, with a very low chance of rain. It will be a very clam day today, with a maximum expected wind speed of 10mph. On Monday 22nd April 2019 the sun will rise at 06:03 and will set at 20:19. It's going to be quite a warm day, with temperatures reaching 23.7°C. Today is expected to be a dry day, with a very low chance of rain. It will be quite a breezy day, with a maximum expected wind speed of 16mph. On Tuesday 23rd April 2019 the sun will rise at 06:01 and will set at 20:21. It will be a mild day, with temperatures reaching around 18.5°C. Some moderate to heavy rain is expected, 6mm of rainfall is possible today. It will be quite a breezy day, with a maximum expected wind speed of 18mph. On Wednesday 24th April 2019 the sun will rise at 05:58 and will set at 20:23. It will be a mild day, with temperatures reaching around 11.8°C. Heavy rain which could cause some standing water is expected, 11mm of rainfall is possible today. It will be quite a breezy day, with a maximum expected wind speed of 28mph. On Thursday 25th April 2019 the sun will rise at 05:56 and will set at 20:24. It will be a mild day, with temperatures reaching around 9.7°C. A light shower is possible, 2mm of rainfall is possible today. It could be quite a gusty day today, with a maximum expected wind speed of 40mph. On Friday 26th April 2019 the sun will rise at 05:54 and will set at 20:26. It will be a mild day, with temperatures reaching around 9.2°C. Some moderate to heavy rain is expected, 7mm of rainfall is possible today. Some quite strong winds are possible today, with a maximum expected wind speed of 60mph. On Saturday 27th April 2019 the sun will rise at 05:52 and will set at 20:28. It will be a mild day, with temperatures reaching around 8.8°C. Some moderate to heavy rain is expected, 5mm of rainfall is possible today. It could be quite a gusty day today, with a maximum expected wind speed of 28mph.